Director Mark Osborne (Kung Fu Panda) has had a bit a rough patch recently with his most recent theatrical release The Little Prince. Despite debuting to high box office grosses and wide-spread critical acclaim in France last year, Paramount Pictures recently dropped the film from its roster for domestic distribution unceremoniously just one week prior to its initially slated theatrical release for American audiences this past March. Luckily for Osborne (and fans of the original 1943 novella written by French aristocrat, writer, and pioneering aviator Antoine de Saint-Exupéry), Netflix picked up the domestic distribution rights to the film shortly thereafter. Now, a new trailer for the movie has revealed the official U.S. theatrical/Netflix premiere date. Taking place a significant number of years after the events previously foretold in the original novella, Osborne's The Little Prince looks to be a novel entry point into the source material for viewers otherwise unacquainted with the work of Saint-Exupéry. Boosted by a supporting cast of A-list talent in supporting roles, including Benicio del Toro (Sicario), Paul Giamatti (San Andreas), and Rachel McAdams (Spotlight), Osborne likely has quiet the hit on his hands that will finally be sure to please American audiences. Come time of the film's release later this Summer, Netflix subscribers in the U.S. can decide for themselves whether or not the wait for The Little Prince was worth it, and begin adding their own opinions and critiques to the pool of substantial praise already heaped onto the production. Until then, here's to more adventures from the Aviator soon to come. 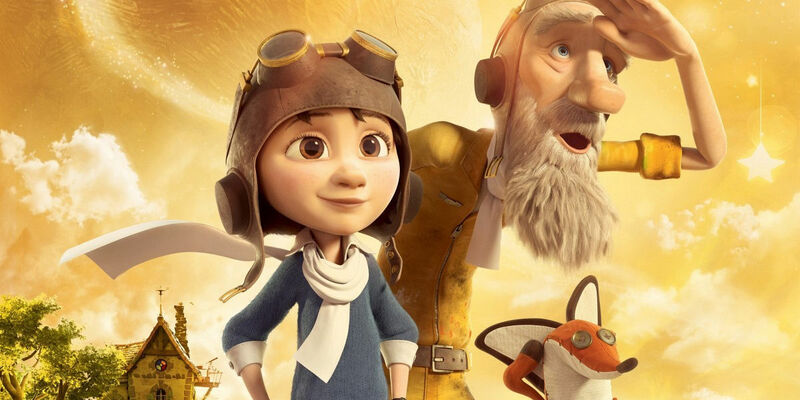 The Little Prince will premiere theatrically and on Netflix in the U.S. on August 5th, 2016.